Alghanim Auto. the authorized dealer of Ford, Lincoln, and Ford Trucks in Kuwait by Ford Middle East. inaugurated a new Ford showroom located in Fahaheel, in the Governorate of Ahinadi, bringing the wide range of Ford vehicles closer to its customers. The inauguration follows Ford Alghanim's earlier commitment to grow its presence in Kuwait, expand its geographical reach within the next two years, and offer the best service to its customers. 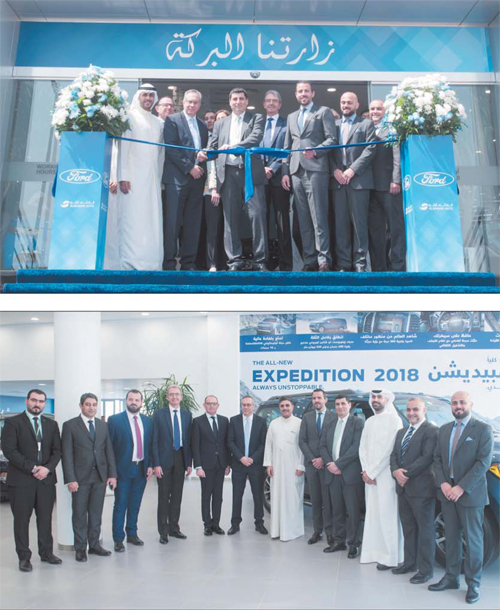 The inauguration was marked by a celebratory ribbon-cutting ceremony attended by the Regional Sales Director of Ford Middle East, Nicolas Lory, Ford Alghanim management and esteemed members ofthe press. During the event, the first three customers were presented with a special token of appreciation for their trust and loyalty to Ford Alghanim, while guests enjoyed the range of Ford vehicles amidst segments of entertainment. The Fahaheel showroom is located in a prime location on Al Dabbous Street to cater to the large number of the population living in Alimadi & Mubarak Al¬Kabeer governorates that represent around one third of the total population of Kuwait. 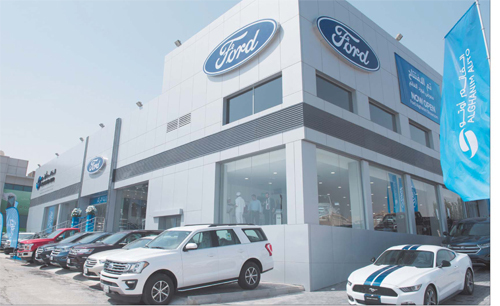 The showroom displays the full range of Ford vehicles, and provides the wide range of customer-centric services known to Ford Alghanim, such as trade-in, finance, insurance, accessories and personalized vehicle delivery. Speaking at the event, Nicolas Lory, Regional Sales Director of Ford Middle East, said: "Our partnership with Alghanim Auto in Kuwait has yielded many milestones since its start, enabling us to deliver the Ford passion in customer excellence and world-class services. Through this second showroom, we are confident that Alghanim Auto will continue to enhance ownership experience and value provided to our customers". Since A Ighanim Auto became Ford's partner in Kuwait two years ago, Ford Alghanim has successfully grown the Ford brand and customer base locally in a short period oftime, as well as inaugurated the construction site of the new Ford Showroom and Service and Parts Center in Shuwaikh. Part of the expansion plan is to open a new service center in Ahrnadi this year also and a state-of-the art Sales, Spare Parts, and Service facility in the upcoming year. We endeavor to offer the best level of customer service in every aspect of the vehicle ownership experience, be it in our state-of-the-art showrooms, advanced service center, experienced professionals or environmental practices. We look forward to servicing our customers through our Fahaheel showroom to give them the opportunity to enjoy the Ford experience with convenience", said the Director of Sales at Alghanim Auto, Issam Salame.